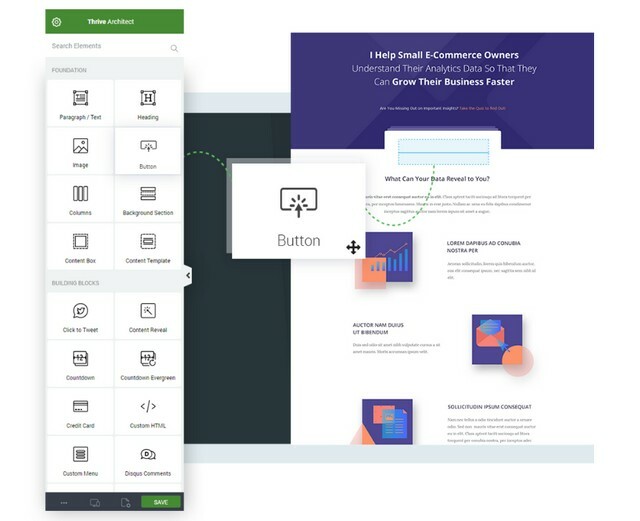 Thrive Themes is an advanced yet intuitive WordPress toolset with a focus on conversion-optimization aka a collection of plugins and themes to give your online business a real boost! However, if you’re reading this you already know that and you’re probably preparing for the holiday season coming up soon which is pretty smart. However what’s smarter is getting a discount off Thrive Themes because it’s that season where everyone’s giving away discounts. Thrive Themes, on the other hand, doesn’t encourage discounts (more on this later)! This includes all themes and plugins below and is pretty much a no-brainer over buying them individually below! Note: All plans include unlimited free updates! What is Thrive Themes and why should I buy it? Thrive Themes and conversion optimization are like synonyms in the WordPress industry. They are created with a goal to increase conversion and ultimately sales. In fact, all of their themes and plugins are focused primarily on increasing conversions for WordPress and they’re a more all-in-one solution which makes them a popular choice amongst online marketers. Build for speed, readability, and clarity which means although they’re built for conversion they still look elegant minimalistic rather than those cheap spammy conversion optimization themes. 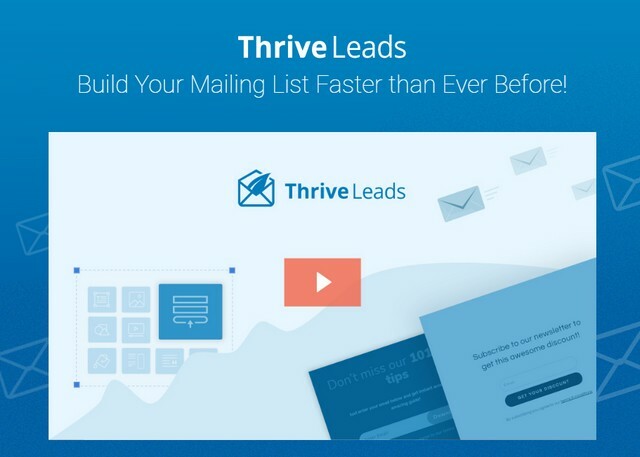 Moreover, Thrive Themes was founded in early 2013 by marketing expert Shane Melaugh and tech fanatic Paul McCarthy so naturally, it has a strong foundation in marketing that’s built by well marketing experts. Thrive Themes Discount Code: So does Thrive Themes offer discounts? The harsh answer is NO they do not! This is because their products are highly sought after and this would be unfair towards those people who’ve bought their products at regular prices. Moreover, Thrive Themes themselves have firmly said they do not want to encourage customers that rely on discounts to buy products because this leads to procrastination and putting off products till the day of the sale and I respect them a lot for this. 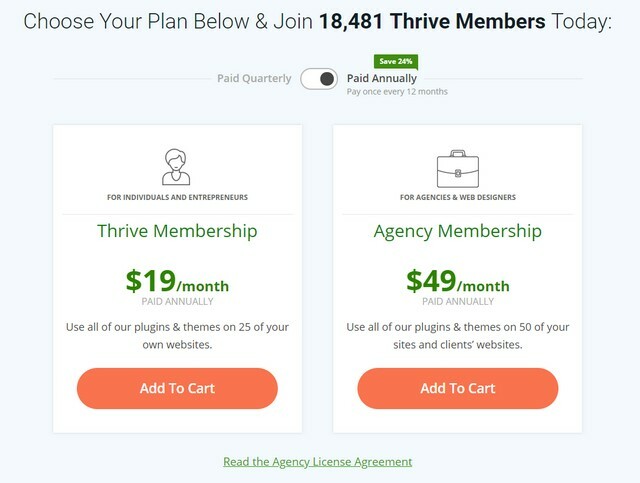 Lastly, Thrive Themes has already priced their products pretty cheap with lifetime updates (most WordPress businesses have a yearly plan) that is already pretty rare for a company to have. What No Discount? Is it really worth it? Yes, I’ve been in the industry for years now and most of my friends that run big online businesses trust and use their products because it works and that means more sales! Moreover, the pricing of Thrive products is pretty low making it a no-brainer to invest in for anyone interested in building an online business or optimizing their present online business. So how do I avail the Thrive Themes discount? There’s a lot of spam websites that advertise Thrive Themes discount coupon codes but in reality, they’re just honeypots for collecting your emails and earning them money by completing time-consuming surveys. Pro Tip: Paying annually is always cheaper and saves you approximately 24% without a discount code. The bottom line: Why should I buy Thrive Themes? Thrive Themes is a trusted leader in conversion optimization WordPress themes and plugins making it a no-brainer for anyone into online business to invest in.